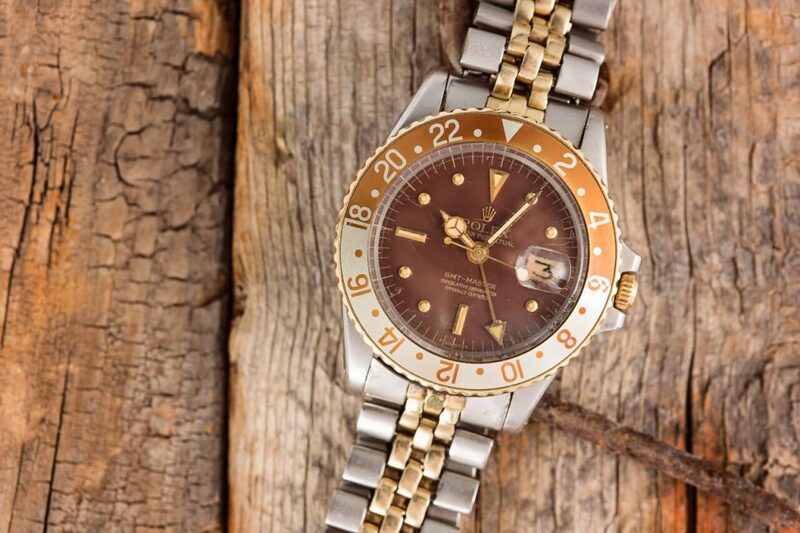 The gold and brown tones of the Rolex vintage collection of Root Beer watches are perfect companions for a fall wardrobe. Named so for its color resemblance to the dark brown soda, the Root Beer Rolex is a vintage classic. Whether as a GMT-Master or GMT-Master II model, presented on a two-tone metal bracelet or leather strap, the warm shades of the Root Beer are a simply too good to miss. Here are 12 Instagram pictures of the Rolex Root Beer to get you in the fall mood. The Root beer GMT Master II wristwatch doesn’t often get the attention it deserves. This stunning timepiece offers a number of stylish features that most Rolex collectors can appreciate. Root(beer^2) + 1/Acre = ?? From our November 2015 #GWA2 sale, this special military Rolex GMT-Master, ref. 1675, was made in 1973 for the Ministry of Defense of the United Arab Emirates. Its chocolate brown dial features at 6 o’clock the “Quraysh Hawk” crest, alongside the signature of His Highness Sheik Al Maktoum. This highly coveted example sold for an impressive 167,000 CHF. We kindly invite you to learn more by clicking the link in our profile – phillipswatches.com.